Can't wait to see that million dollar smile on your loved one's face? Why don't you surprise them with gifts like flowers, cake, soft toys etc on special occasions? Now, you can easily send gifts to Nagpur from FlowerAura and strengthen your bond with your loved ones. When you give someone a gift on any special occasion, it sweetens your relationship with that person. The act of giving gifts to loved ones on occasions like birthdays or anniversaries or Valentine’s Day or Mother’s Day or on any other event gratifies the giver and the receiver both. While the ritual of gift giving is gratifying, finding a perfect gift for someone is really strenuous. But, no more because FlowerAura, one of the leading online florists and gift portals in India has now reached your city, Nagpur. Also known as the winter capital of Maharashtra, Nagpur is one of the proposed smart cities of India. Nagpur is also known as the best city in India on the basis of liveability, public transport, and health care. These are some of the basic amenities that the citizens of Nagpur enjoy. With FlowerAura’s online gift delivery in Nagpur, now the people of Nagpur don't have to bear the headache to go to the market and look for a gift because now you can order a gift online in Nagpur from FlowerAura. 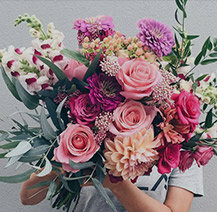 We, at FlowerAura provide you a wide range of gifts online that are ideal for any occasion and can’t go wrong with the age and gender of the recipient. Be it a birthday or an anniversary or Valentine’s Day or Mother’s Day or New Year or Christmas or Diwali or Raksha Bandhan or any other event, we offer gifts for every special occasion. 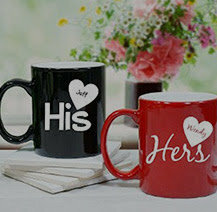 We have separate gift categories for him and her, husband and wife, gifts for ladies etc. 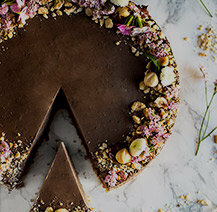 Whether you want to order flowers or chocolates or cakes or soft toys or grooming kits or fancy jewelleries or greetings, you can find these all at FlowerAura. In fact, FlowerAura is one of the best gift shops in Nagpur from where you can order gifts online in a hassle-free way. Handicrafts in Nagpur are very beautiful and we have brought to you an amazing range of personalized gifts which are equally beautiful. If you are looking for personalized gifts in Nagpur then, our collection won't disappoint you. 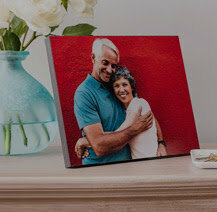 Our personalized gifts include photo frames, coffee mugs, cakes, key chains etc. In order to provide an impeccable online gifting experience in Nagpur, FlowerAura offer you an online platform through which now you can send gifts to Nagpur for your loved ones. If you are one of those who live in a different city away from their loved ones in Nagpur then, fret not, because you can now make your presence felt to your loved ones by sending gifts to Nagpur. On any special occasion, when you cannot visit always take out the time to see your loved ones in Nagpur, you can always curb the distance by sending them gifts via FlowerAura online gift delivery in Nagpur. 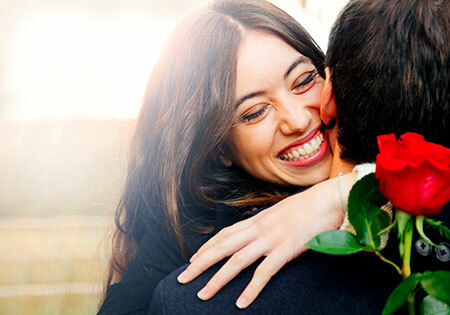 On occasions like Valentine’s Day, you can make your wife feel special by sending gifts for wife to Nagpur via FlowerAura. When it comes our gift delivery services, we always ensure to provide our customers an express delivery of gifts. If you choose FlowerAura to order a gift online in Nagpur then, you can enjoy same day delivery of gifts in Nagpur. All you need to do is to visit our website, select a gift, and proceed further to place an order. Once your order gets placed, our delivery team will make sure to deliver your gift to your doorstep on the same day just within 4 hours of your order placement. Can you ask for more? Wait, there is another perk that you can enjoy with FlowerAura. Now, you can surprise anyone by sending gifts to his doorstep right at the moment when the clock strikes 12. Yes, with our midnight delivery of gifts in Nagpur, now you can opt for an midnight delivery of gift and make bonds stronger with your loved ones. You can also place your orders from our gift shop in South Nagpur and enjoy free shipping. So, to enjoy the best gift delivery in Nagpur, hurry up to order gifts online from FlowerAura.